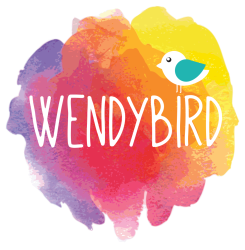 ﻿All Wendybird events are open to the whole community and we invite all LGBTIQ people, their families, friends and allies to our events. ​All events are family friendly, inclusive and drug and alcohol free. Wendybird events will be held every 6 weeks at the New Farm Neighbourhood Centre, 967 Brunswick St, New Farm. Please note: These groups and events are not facilitated by Wendybird. Even though we can suggest these as spaces where you may connect with the LGBTIQ community, and many are recommended as positive and supportive spaces, we are not able to be responsible for the quality of these groups. Also, many social groups come and go, so even though we try to keep this list up to date, we cannot guarantee that these groups will still be running. Please contact the group directly to find out more information. If you would like your group listed here, please contact us. Facilitated by professional counsellors from RAQ's Rainbow Service, we aim to provide a safe, supportive and inclusive space to give and receive support, share stories and make friends. Held at Relationships Australia Qld (RAQ), 159 St. Paul's Terrace, Spring Hill (5 minutes up the hill from the Valley train station). No need to book, first-timers please come at 5:45pm to register. Gold coin donation to cover snacks please. A social group for Indigenous Lesbian, Gay, Bisexual, Trangender, Sistergirl and Brotherboy people. Facilitated by New Farm and West End Libraries. Star Gayzers is an amateur astronomy club specifically for the LGBTI community. It is designed to be a place where you can be among like minded people and delight in the night sky in a social, relaxed and safe atmosphere. Partnered with Caloundra Community Centre to provide services for the LGBTIQ Community. Queer Readers is a Brisbane based book club which meets on the 3rd Monday of every month at New Farm Library at 6.30pm. QTs is a monthly social suport/catch up for Trans men to talk about their lives and experiences. Usually run every 3rd Sunday of every month.. except for every 3 months its on the 2nd Saturday. The easiest way to work out whats happening is find check out our events page on facebook. For people who like to play boardgames in a safe, fun environment.